Each year, Founders Day honors the people who first established Rush University Medical Center as Rush Medical College in 1837. Special awards are presented to employees — including Gia Crisanti — who have played a pivotal role in providing the best possible care for our patients. 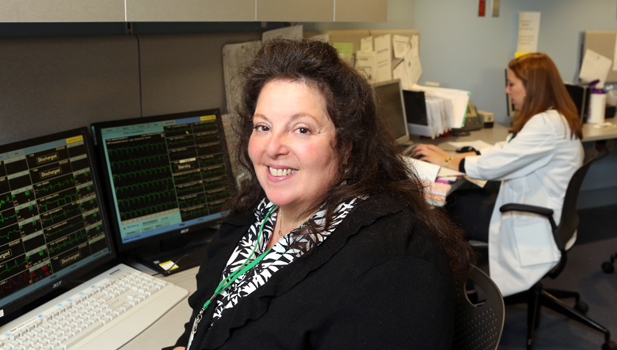 As the unit director of the cardiac intensive care unit (CICU), Gia Crisanti often asks, “How can we do this in a way that is best for everyone involved?” It’s this devotion to not settling for the status quo that makes Crisanti a remarkable manager — one who is in touch with her staff and CICU patients. It’s not just Crisanti’s approach to patient care that makes her such a great leader. She treats her staff as equals, creating a more cohesive work environment. Employees describe her as incredibly thoughtful in everything she does. She’s able to get everyone on the CICU to bring their unique perspective in discussions on how to improve the unit. Crisanti brings out the best in people. This entry was posted in Founders Day, Nursing and tagged #rushfoundersday. Bookmark the permalink.